A substantial amount of Special Collections’ work is in teaching and teaching support across a broad range of subjects: classics, law, library studies, architecture, history, maths – the list goes on. Sometimes this is a single class on using historical and primary materials, but this may also be a series of sessions, as with the Archival Research and Oral History in Education (AROHE) module, taught at UCL Institute of Education. This year AROHE students have explored the topics of international education, special educational needs, progressive education and multi-racial education, using items from Newsam Archives, to focus on areas like visual sources, curriculum, biography and learners’ voices. However, when it came to dating the photograph, the students came somewhat unstuck. The wearing of costumes make it impossible to use fashion to estimate when the photograph was taken, and likewise most of the children’s heads are covered, so nor can their hair styles be used as a guide. In the end, it was suggested that the photo was probably “old”, because it was black and white. 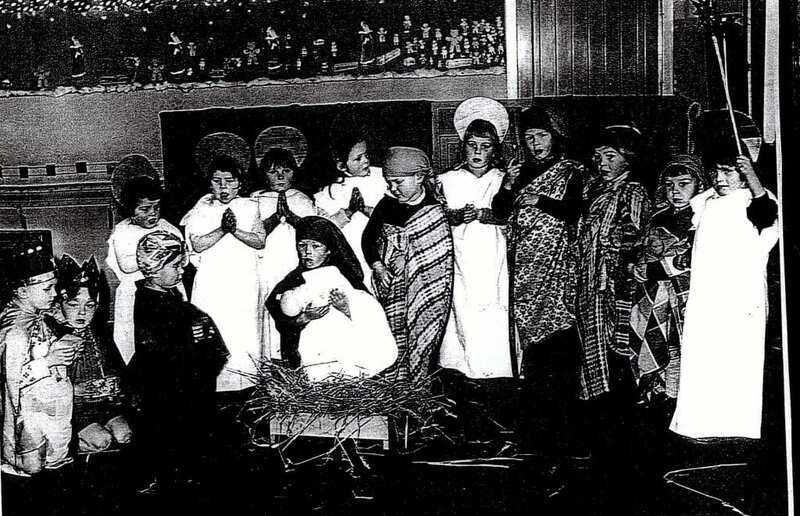 In case you’re wondering – the image is from a booklet from Beech Green Nursery School, featuring photos from 1956-1973 (the booklet itself was created in 2002). Whether you think this can be considered “old” or not is up to you – although colour photography was definitely around by the 1950’s!